1. Boil a small pot of water. 2. Trim the stem diagonally and cut about 1/4" slit down the center of the stem. 3. Submerge the stem about an inch or two into the boiling water for about 30 seconds and immediately place into a vase filled with lukewarm water. In a couple of hours the water will make its way back up into the blooms and they will be good as new! 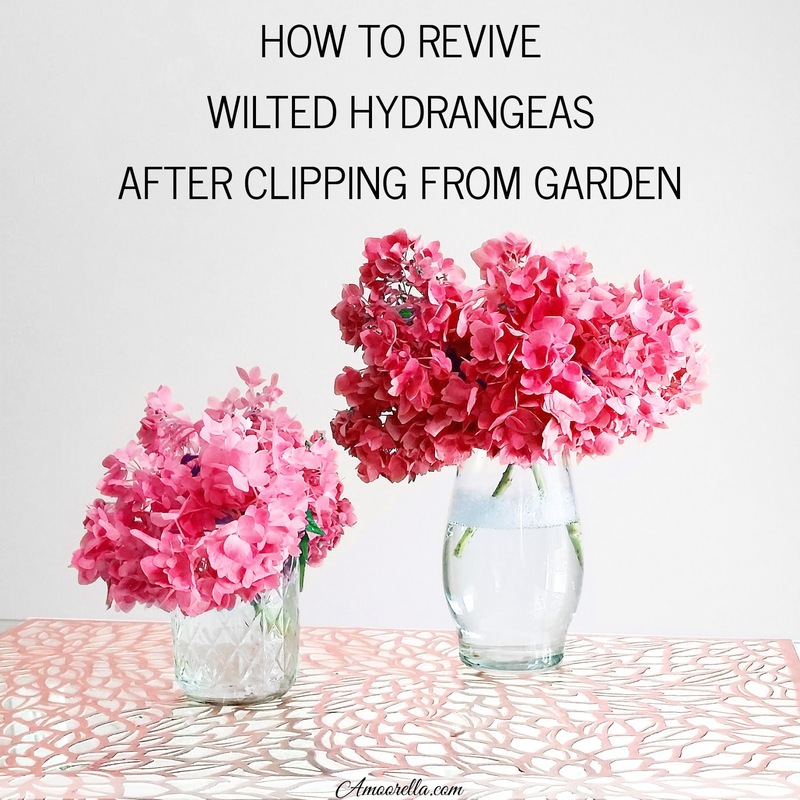 Also, here's a recipe to help keep your freshly cut hydrangeas last even longer! DIRECTIONS: Mix all ingredients together. 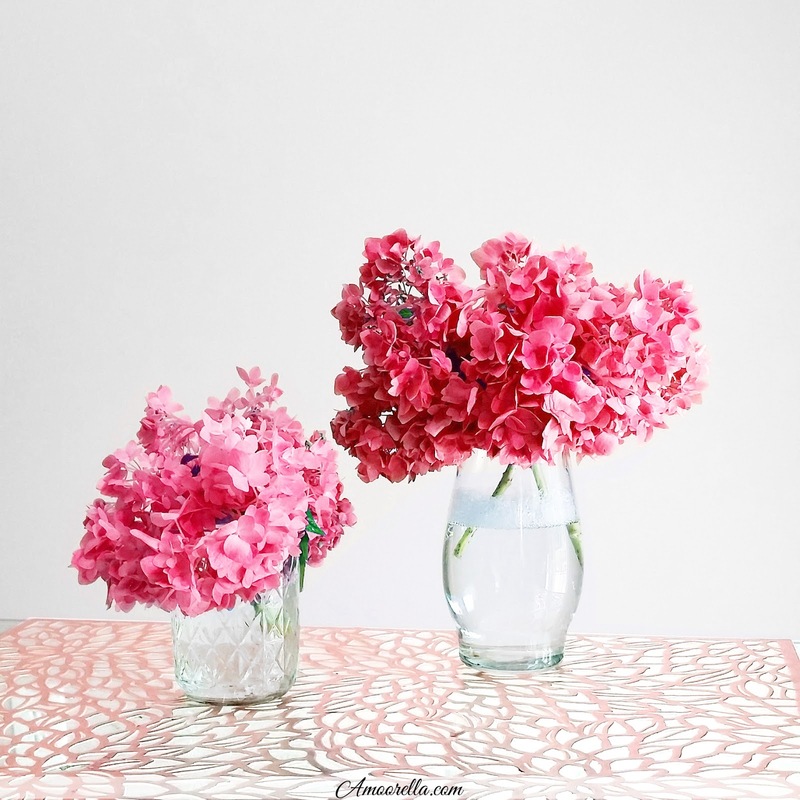 Add 1/4 of the solution to your vase and fill the rest of the vase with more lukewarm water. 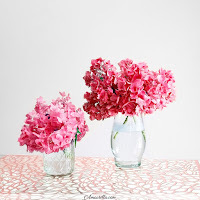 Place your arrangement in the vase and enjoy!